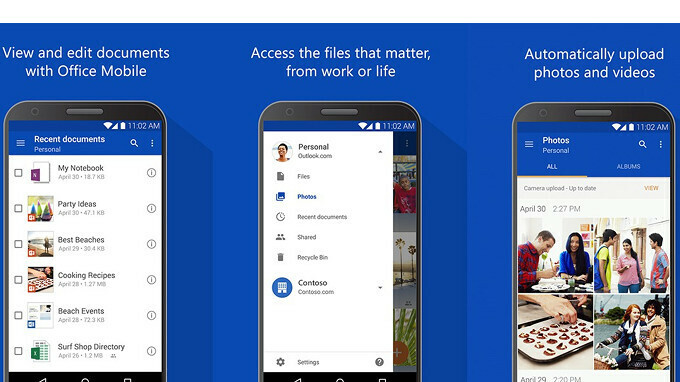 Good things happen to OneDrive users on Android, as Microsoft recently decided to push yet another important update. As with the previous updates, the latest one focuses on a few aspects of the app, in this case, it's all about the camera. The latest version of OneDrive for Android comes with three new improvements that slightly change the way you'll be using the app to edit and navigate photos. First of all, you can now crop rotate, and choose from a set of filters to digitize the physical world with the new enhanced Scan feature. But that's not all. Microsoft's changelog states that OneDrive users will be able to quickly navigate and find photos taken a long time ago thanks to the new fast scroller added in the Photo view. Finally, the latest update makes it possible to capture photos and save them directly to OneDrive within the Android application without having to save them on the phone's memory. The new application has been released in the Google Play Store as OneDrive v5.4, and should already be available for download to everyone.